In this episode, I interview Dennis Yu, a Facebook ads expert and CTO of BlitzMetrics: a business that’s part school and part agency for social marketers. For the past 20 years, Dennis has been working in marketing and analytics. He used to work at Yahoo! running analytics. Dennis explains how Facebook’s algorithm prioritizes different types of engagement and post content. You’ll discover how Dennis boosts posts to manage ad costs. 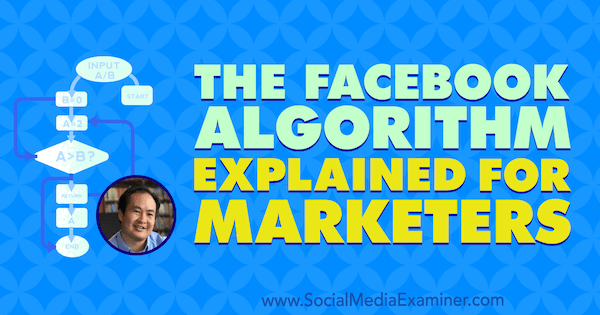 The Facebook Algorithm Explained for Marketers featuring insights from Dennis Yu on the Social Media Marketing Podcast. Dennis, who has done analytics at Yahoo! and helped build the website for American Airlines, has always been into math and data. In May 2007, when Facebook launched its app-building platform, he built one of the first apps. Dennis had one of the original Facebook accounts and shares that in the beginning, Facebook didn’t really have analytics, a news feed, or an ad system. As his app gained several million users, Dennis discovered a treasure trove of data. These days, Dennis builds training systems that help young adults become apprentice digital marketers. His passions have always been mentorship and creating systems that enable him to scale his mentorship efforts. Students complete the training, are certified, and are then paid to work on packages. The system is completely self-funded so every penny goes back to training young adults. Dennis thinks this reinvestment is the only way for businesses to scale. The training courses are based on actual execution. The more execution, the better the training and the more data available for developing standards for working with Facebook, Google, and other platforms. BlitzMetrics gathers a lot of data to help them see patterns and create benchmarks. Working with big organizations such as the Golden State Warriors, Rosetta Stone, food companies, and car companies gives BlitzMetrics a lot of data. This data helps them see patterns better and create benchmarks. For example, they can see that posting photos to galleries leads to more reach than posting single photos. Listen to the show to hear Dennis discuss similarities between the Facebook algorithm and Google search. Back in 2007, you could trick the algorithm pretty easily; post statuses or get enough people to talk about something, and it would take off. 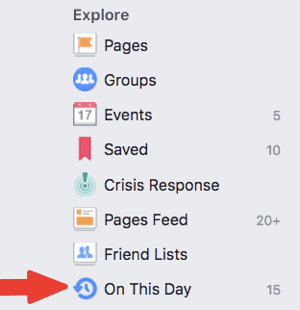 Since then, the Facebook algorithm has become smarter because Facebook has more data. More users produce more things such as video, images, and apps. Instead of looking at pure engagement, the algorithm now looks at how long people watch videos, click-back rates, and other factors that indicate whether something is a legitimate signal. Today, the algorithm’s job is to show users relevant content. The more content (more friends and more posts), the stronger the algorithm’s filter power has to be to deliver relevant content. For instance, the average user has more than 500 friends and likes 150 or more pages. The amount of content being produced keeps growing, while the user’s attention remains finite. The more friends added and pages liked, the stronger the algorithm’s filter power needs to be to determine what a certain user wants to see. The number of times a user logs in per day also matters. The algorithm needs to work differently for a user who logs in once or twice per day versus 20 times per day. Plus, based on where you are, what you’re doing, and whom you’re with, the algorithm has to be smarter because your expectations have increased. Even the number of times per day a user logs in is taken into account by the algorithm. 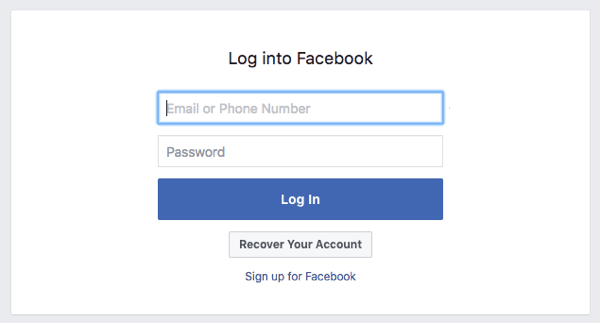 The algorithm needs to create an experience that makes users want to come back to Facebook. That’s why Facebook says, “It’s about the user experience.” The longer you stay, the more ads Facebook can show you. The user experience is a long-term play because a good experience is the best way to make money. When you own the system and have the maximum number of users, you also have the maximum amount of attention, and that’s how you maximize ad revenue. Listen to the show to discover why Facebook doesn’t want to be like Times Square. The algorithm has to determine how much power a particular post has. The number-one factor is engagement. If the algorithm sees lots of people engaging with your post, then the algorithm shows the post to more people. Your post gets some initial reach in the first few seconds. Maybe 1% of your fans or friends see it. If that engagement is high, more people will see the post. The number-two factor is the content. If other people are interested in the content of your post, it gets a bit of a bump. The third factor is the K factor: whether certain information is hot right now. You might want to know that a friend just checked in at a coffee shop a block away. That’s more important than something that happened two days ago. Together, these three factors determine how much power a particular post has. Engagement: I ask Dennis what counts as engagement. Dennis says pretty much anything counts as engagement. 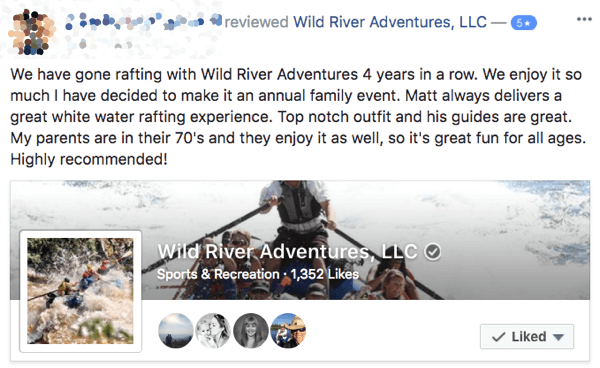 Most engagement is a like, click, or share, but check-ins and reviews matter, too. Engagements also have relative power. An example of relative power is when a story appears in your news feed because one of your friends liked, shared, or commented on it. Most engagement is a like, click, or share, but check-ins and reviews matter, too. Conversely, a consumption is an engagement that doesn’t drive a story. If someone watches a video for 30 seconds and leaves, you don’t see a notification in your news feed about it. Clicking through a photo gallery or around someone’s page are passive clicks, because they don’t generate a story. Those consumptions are the bulk of what occurs. Sometimes people don’t want to click ads and vote for stuff; they just want to lurk. The sum of those consumptions and stories is engagement, and Facebook weighs them all. Dennis shares some rough analysis they’ve done on the impact of different types of engagement. If a like is worth 1 point, then a comment is worth about 6. A share may be worth 13, a 3-second video view might be 0.25, and negative feedback (“hide this post, hide all posts, report, spam, unlike page”) is worth a minus 100. Dennis notes that this analysis was based on his own data, and your data will be different. To do your own rough analysis, download the CSV file with your post insights, create a spreadsheet, and then weigh each post to calculate your estimated EdgeRank. That way, you can see what’s getting the highest and lowest scores. Most likely, half will be positive and half negative. The higher ones are going to be video because Facebook gives priority to video. The same with AR (augmented reality), Messenger, and those kinds of interactions. A share is the most valuable engagement metric, and a review and maybe a check-in are almost equivalent to a share. Video views become valuable only if the view indicates true interest. A default video view is 3 seconds, but someone could have thumbed it or didn’t scroll fast enough. A 60-second video view is much better than a random like. The value is higher because a 60-second view is so rare. Average watch time for a video is 6 seconds. Dennis shares an example of how video is at the core of analytics and the algorithm. Isaac Irvine, who runs the personal brands at GoDaddy, interviewed his kid, who was growing out his hair to give to cancer patients, about being bullied at school for having long hair. Isaac took the video in the bathroom on his smartphone, and it got 80 million views. Talking to my son about getting bullied about his long hair. I’m going to read him the comments. Many high-profile platforms and personalities shared the video, including George Takei, Ellen, and BuzzFeed. The video was shared because the signals were really high. The video had an average watch time of 52 seconds. Also, the engagement rate was more than 10%, so of the people who saw the video, more than 10% liked, shared, and commented. Dennis recommends checking the average watch time for your videos. To find this metric, you have to download your insights. Another metric that’s important to the algorithm is the ratio of shares to likes. If the number of shares exceeds the number of likes, Facebook takes that signal into account. However, these numbers need to be significant (a few hundred, not five shares and four likes). To illustrate, one of Dennis’s top posts had 40 million views; 300,000 likes; and 400,000 shares. Those shares were worth more than the views. Next, I ask how negative feedback affects your reach. Dennis says if you have negative feedback and continue to accrue negative penalties, your reach can go into a downward spiral. 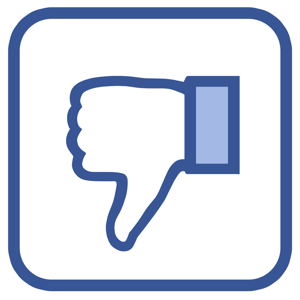 If you continue to have low reach and high negative feedback, the next time you post something, Facebook will prejudge your content. Negative feedback can affect how the algorithm ranks your content. Dennis explains how some well-meaning social media marketers say you should post three times per day, or if you’re getting less reach (the average page gets 3% to 5% reach), post more often. However, this approach can lower the bar on content quality, and then you’re penalized even more. It’s like the emergency brake in your car is on, and instead of figuring out a way to release it, you push the gas harder. This approach just creates more problems. Instead, look at what’s causing your negative feedback. Download your post insights to determine what content has a high relevant score versus a low score. Your highest positive score is probably going to be short videos and things that are not self-promotional. Common sense and etiquette tell you that you can’t approach a random person at the mall and say, “Buy my stuff.” Why would you do it on social? Those same rules apply. The high negative feedback is caused by having a low relevance score. Facebook releases the relevance score so you can troubleshoot low reach, high costs, or other issues. Relevance is the intersection of content and targeting. A low relevance score causes high negative feedback. You’ll have a low relevance score if your targeting isn’t right, and the targeting has to be triggered by what your community did last. For example, if you target people based on the last video they saw (if they saw video A, show them video B), your targeting is very relevant. Content: Other people’s “interests” refers to what people like you are doing. Facebook learned that people like to hang out with other people like them, so they use your friends as a signal. The closer those friends are to you, the more you engage with them, the more weight Facebook gives those people. It’s just like Amazon’s “people who bought this also bought that” or “if you listen to this song, you might like that song.” It’s called collaborative filtering. When you have word of mouth among your niche community and they love to talk about you in a real sort of way, Facebook can latch onto that signal and find other people just like those. On the paid side, the same algorithm is behind lookalike audiences. The connection between organic and paid is based on the collaborative filter, which is based on oCPM. Decay is another factor. Typically, two years ago, when you posted something, whether it’s a page or a profile, the post would last maybe 4 or 8 hours. Now, stuff lasts only 1 or 2 hours. On Twitter, posts last about 2 minutes. The decay factor is getting higher and higher. Posts fall off faster because there’s more content and the filter power is higher. Find ‘On This Day’ posts in the Explore section. To trick the system, Dennis looks at his On This Day posts, and instead of sharing an old post, he comments on it. That resuscitates the old post maybe a third as strong as it originally was. He has different posts he continues to comment on that might be from 6 or 7 years ago. This tactic gives marketers an incentive to create evergreen content because you can continue to bring back an old post. Just don’t overuse the tactic, because then people will think you’re a bot replaying old stuff. In your publishing schedule, mix old posts with new ones. Because Dennis advocates posting less often, I ask how posting infrequently and decay work together. Dennis explains that as the filter power gets stronger, fewer good things get through. The algorithm stretches out stuff so things like fake news are pushed up to the top and things that would have normally been seen are less visible. You need to get up in that top 5% of posts. In the course of a month, Dennis would rather have one or two really hot posts that live forever than 50 posts that get low or medium distribution. This increases your incentive to try to find a hit because the hits are rewarded. These top posts continue to have engagement and continue to live. When your friends and other people engage, then the post could show up in the news feed of their friends. Time of day matters for posting on Facebook if you have enough of a user base and you’re relying on organic reach. However, saying the ideal time to post is ‘local time 4 or 5 PM’ or ‘6 AM before work’ is as ridiculous as saying your tweets should always be 120 characters or you should always include three hashtags. Instead, find out when your audience is online. A year or two ago, timing could slingshot a post and help you get high engagement. If you had a post that you knew would be hot, you could post at 3 or 4 AM to generate a little engagement. By 6, 7, or 8 AM, that engagement gave your post a head start on other posts. Now, however, the algorithm is so strong that the slingshot approach isn’t as effective. Instead, try to post and boost when your fans are more likely to be online. Try to post and boost when your fans are more likely to be online. Listen to hear Dennis talk about a post quality score he wishes Facebook would bring back. The algorithm for ads is the same one Facebook uses on the organic side. However, for ads, Facebook will give you more data. The best diagnostic metric is your relevance score. A diagnostic metric is different than a good overall metric for your business. That metric is cost per whatever business result you’re seeking, such as cost per sale, cost per lead, and so on. For diagnostics, Dennis focuses on relevance score because Facebook breaks it down into the three components that are important to the algorithm: positive feedback (engagement), negative feedback, and other factors generated by what people click on. This makes relevance score the best way to get an apples-to-apples comparison of your content. At the top of the funnel, you want to see a relevance score of at least 6, mid-funnel at least a 6, and bottom of funnel (where you’re trying to sell) at a 2. Saying, “Hey, buy my stuff. It’s on sale,” is obviously not as good as posting an engaging video where you’re telling a story or something like that. 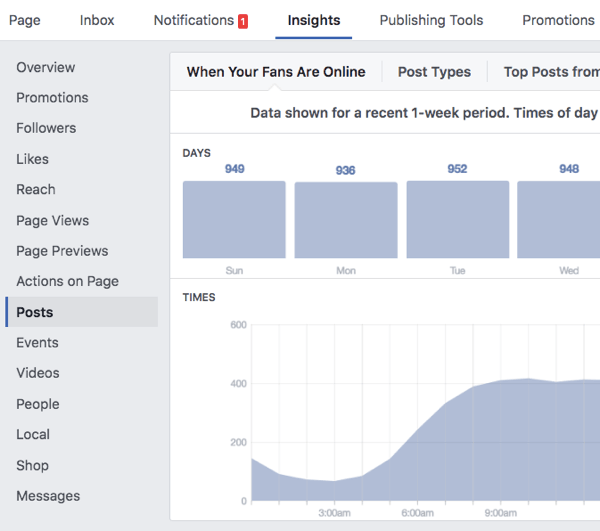 On the paid side, you get all of the data you can see with organic posts, plus audience insights and an audience manager, which are two different tools inside Facebook Ads Manager. With these tools, you can see the overlap between different audiences. For instance, you can identify people who are engaging on one specific boosted post or watching one specific boosted video and have also been to your website. You can pinpoint an audience that has watched a certain video but then exclude people who bought. When you post organically, you can’t target these audience combinations, segmentations, and sequences. Ads Manager gives you more control over the audiences you target. Dennis believes Facebook puts all of the insights on the ads side so people spend more time there. 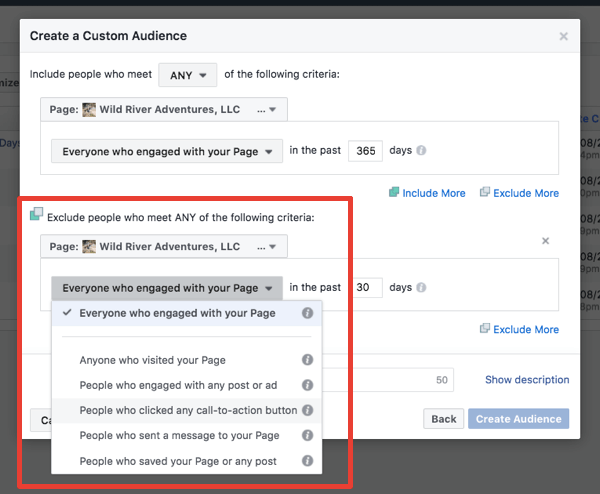 The best analytics are inside the Facebook ad platform, even though you don’t have to advertise to see those insights. I ask if you can target people interested in certain topics, and Dennis thinks major news stations and publishers can do that; for example, the evening news posts on auto accidents, weather, sports, the stock market, and other things. When a news organization categorizes by topic, it helps the algorithm. However, if you don’t cover several different topics, the algorithm is smart enough to know who your best fans are. Most listeners probably serve only one or two customer types and don’t need to segment. If anything, they’re narrowing their audience too much. When people over-target or think they’re smart with targeting, they’re usually wrong. It’s better to let the defaults run. Don’t intentionally cut the audience unless an event is located in a certain place and you don’t want anyone else to see it. Listen to the show to hear Dennis discuss popular metrics that aren’t as good for diagnostics as relevance score. When you have a large enough audience that a post works organically, boost it to make the reach even better. Dennis likes to boost to two types of audiences. The first is people Dennis thinks would see the post if he had more power in the news feed. In this case, Dennis will spend a dollar a day for 7 days. If the engagement is high, he’ll put more money into it. With this approach, some boosted posts have been alive for 2 years. Dennis often starts with a $1 per day boost budget. The other audience is what Dennis calls an inception boosted post. In this case, he wants to target people in the media or influencers. For instance, a fitness coach might target people who work at the LA Times and Bodybuilding Magazine. Dennis will also let those posts run for a dollar a day. The key is that the post starts with organic reach. Post things that work, let the algorithm do the work for you, and then put money on the post. Don’t put money on a post that’s not showing strong social signals. Boost good content, content people will share and won’t view as an ad. Also, don’t always just boost sales posts. Boosting posts, especially video, drives more people, whether or not you include a call to action or link to a website. That drives secondary benefits, such as people opening emails, an increased likelihood that people will look at your next post, Facebook giving you more preference for all of your posts, getting more fans, and other things that don’t tie into the engagement on that particular post. Most social media marketers look only at this narrow window of how many sales, clicks, or website views they get from that one post. However, if you send people to a website right away (and try to collect their email address), you’re asking a lot from someone with whom you haven’t yet built a relationship. If you’re asking people to visit your site and fill out a form, you want a warm (custom) audience that’s had at least four or five interactions with you already. Otherwise, these requests lead to a low relevance score. Be sure to add and track Relevance Score via your ad metrics. You can set up your custom audiences of people who have been to your site or watched a video. Send that audience to your website because they already trust you. You won’t get as much negative feedback if they’ve already been consuming your content. Dennis advocates spending a little money on ads over a longer period of time rather than spending a lot of money up front. He’s low risk and conservative. Years ago, when the Facebook platform launched, winning was easy because he didn’t have competition. Today, it’s so easy just to take a few of your posts, boost them, test them, and then analyze the data. Create dark posts only if you don’t want certain people to see the post. So, if you don’t want existing customers to see that you’re offering new customers 20% off, a dark post is fine. However, you should boost all other posts (that is, posts to increase awareness, engagement, and conversion in the three steps of the funnel). Anything that’s evergreen, interesting, and worth sharing should get a dollar a day for 7 days. Then let the algorithm do the work for you. Boosting posts can also lead to additional shares that you don’t have to pay for. In certain situations, Dennis has noticed these benefits after paying to boost a hot post. It’s like when you go to the store, buy a bag of potato chips, and get 20 bags for free. If you boost a post that has already done well organically, when people see those paid impressions and other people liking and commenting, that additional engagement isn’t counted against the paid stats. Furthermore, Dennis has verified with Facebook that when a user shares a post on your page, that share doesn’t count against your organic reach. The share is treated as a user post and Facebook doesn’t show the reach and views for user posts, only pages. If you do a good job organically and boost posts that get a ton of shares, those impressions don’t show up in your analytics. Listen to the show to learn about Dennis’ BlitzMetrics guide. Trello is now available for desktop. In the new desktop app, Trello has a fresh skin. And with the full-screen option, you have extra real estate for moving your cards around. Trello users are going to love the new app, and those who haven’t tried it yet should check it out. Go to Trello.com. Listen to the show to learn more and let us know how the Trello desktop app works for you. 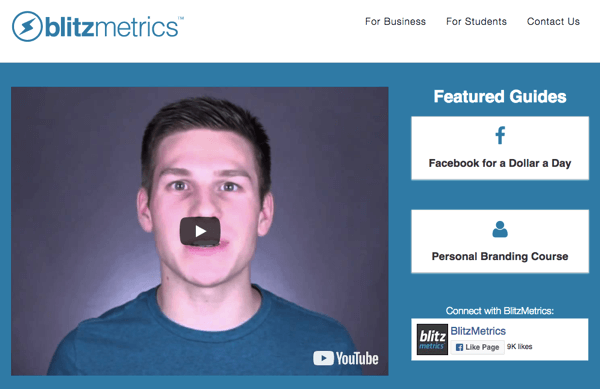 Learn more about Dennis Yu on his website and BlitzMetrics.com. Get the BlitzMetrics Standards of Excellence Guide. Watch the Facebook video of Isaac Irvine and his son. Read about the Facebook relevance score. Learn more about collaborative filtering and oCPM. 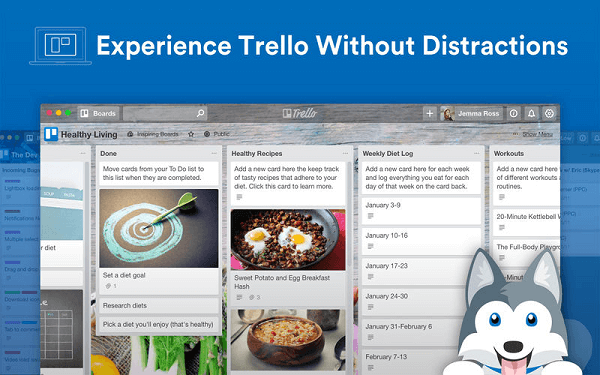 Check out the Trello desktop app. What do you think? What are your thoughts on the Facebook algorithm? Please leave your comments below.